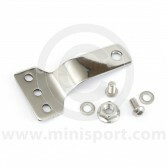 Browse Mini Sport’s selection of horns and mounting brackets. 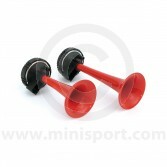 We have standard electric horns suitable for all models of Classic Mini or Twin Air Horn kits for those who want to make their Mini loud. 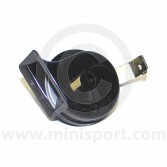 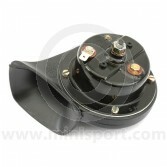 Our selection of Mini Horns are just a small part of Mini Sport’s huge range of Classic Mini electrical equipment which also includes dynamos, starter motors, alternators, wiper motors, wiring looms, headlamps, indicators, switches, distributors, spot lamps, bulbs, fuse boxes, coils, ignition leads and spark plugs.